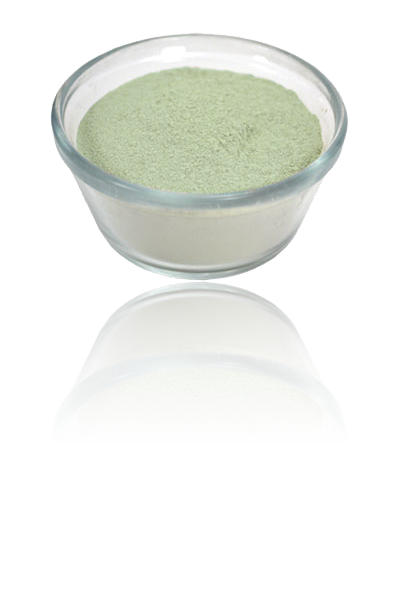 French Green Clay Blended with Sea Algae and Herbs for a gentle detox and exfoliating action on oily and blemished skin. French Green Clay is blended with Sea Algae and herbs to assure a complete cleansing, drainage, detoxification and exfoliation program. Relying on the properties of these valuable elements, this facial treatment was put together for your benefit and enjoyment. Mix enough clay with distilled water or better still, a hydrolate, until you obtain a smooth creamy mixture. Spread the mixture on the skin to be treated and keep it moist for at least 20 minutes. This is the time it takes for the clay to be efficient. Keeping the mask on until it dries, as advised by some individuals, is just a waste of time and money. Once dry, the clay is no longer active and therefore useless. To keep it moist just spray some distilled water on the surface of the clay. Remove with a cotton ball and water, and rinse thoroughly. Hydrate the skin afterwards with one of the hydrolates and nourish with a Fusion oil of your preference. French Green Illite Clay, French Green Montmorillonite Clay, Green Tea (Camelia sinensis leaf), Sea Algae (Fucus vesiculosus), Gotu Kola (Centella asiatica), Comfrey (Symphytum off. ), Panama Wood (Quillaja saponaria), Hops (Humulus lupulus), Horse Chestnut (Aesculus hippocastanum), and Horsetail (Equisetum arvense).